I am sure as a runner you get that question when it is twenty below zero.. "You aren't running in this are you?" Uh.. Yeah actually I am. Silence. Shocked stare. "Don't you freeze your lungs?" Well I am here breathing just fine aren't I. A runner has to run. 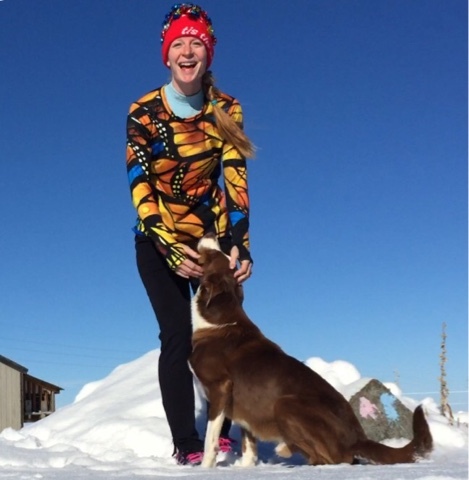 The key to running in extreme cold temperatures is having the right gear. In the summer it's easy, you throw on a socks, shoes, shorts a tank, and bra and are out the door. Not so easy in the winter when layers become your friend. I'm going to start from the head down..
A warm hat is of course key. I don't have any one brand. The eyes.. this gets tough. 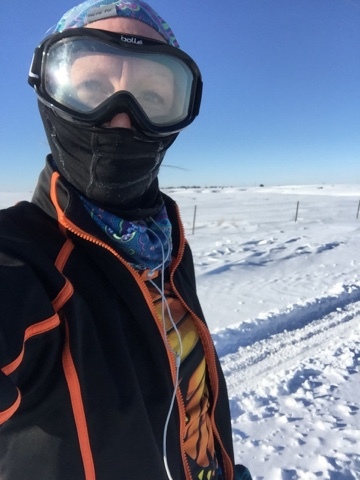 Sunglasses get all fogged up, and I know from experience that if you are running in really cold wind chills you are at risk of your eyes freezing shut. Not fun. Enter the ski goggles. A balaclava is a must when it is below zero as well. I find I can go without it for short stretches, especially when running with the wind, but when running into the wind it is a life saver! 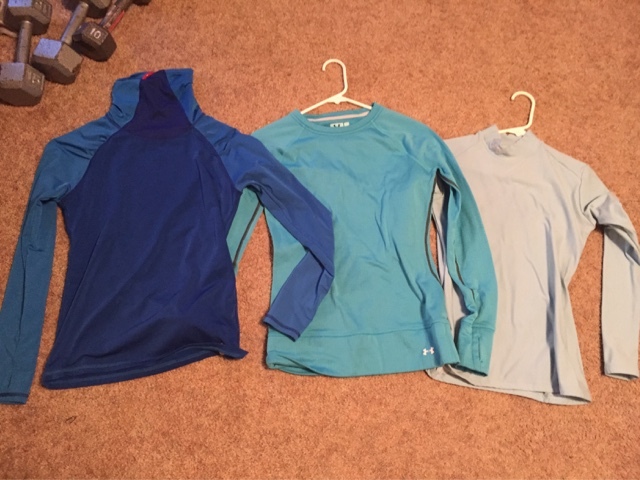 I wear a thermal base layer, I have three that I use quite a bit, one is from Target and has a turtle neck, the other is Under Armour base gear and the other is Under Armour cold gear with a mock neck. They are all very warm and get a lot of use in the cold winter months. Apparently blue is my base layer color for tops. Here is an example of a 15 degree day. 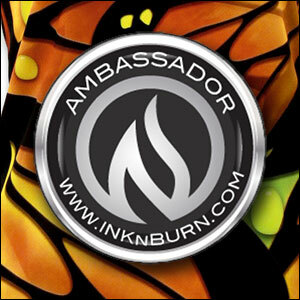 Base layer, Inknburn pullover on top and thin tights with fleece lined tights over the top. I did also have on gloves. I usually wear a thin pair of compression socks with another ankle length pair over the top and find this works well, and bread sacks over the socks helps keep feet warm and dry as well. 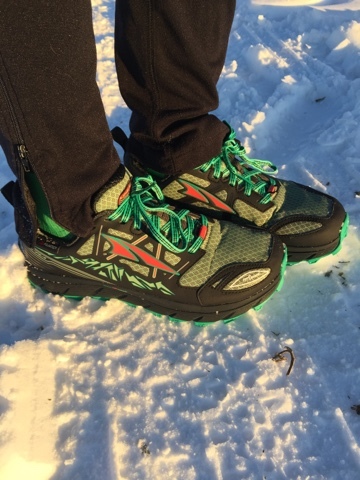 Right now I am loving my Altra Lone Peak 3s with the NeoShell.. talk about keeping my toes warm and dry even with only one pair of socks and no bread sacks. I also love hand warmers if it is really cold out, but I find I don't need them unless it is below zero. This picture is for Wendy.. she asked me if all the wide open spaces I run in make me anxious...no no and no! I find so much peace there. Looking at a picture of a city makes me anxious.. all those people all crowded together. No space. Traffic. Buildings Aack. no thanks. This week's writing prompt: Favorite Winter Gear. 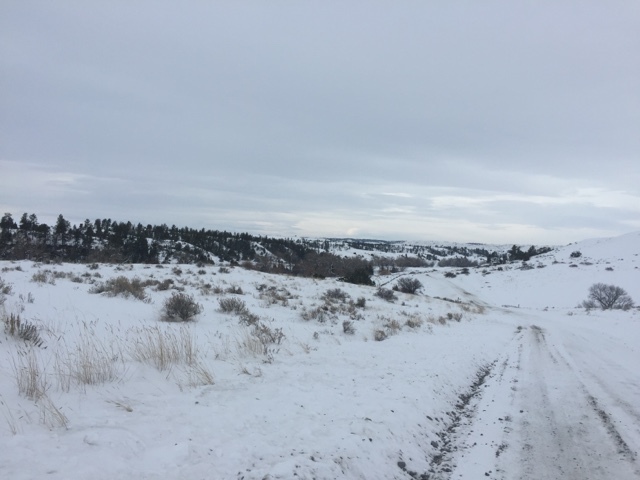 If you don't have anything to share about Favorite Winter Gear, feel free to post any running related blog post. Link-up with Patty, Erika, and Marcia! Does looking at wide open spaces make you anxious? What is your go to cold weather gear? WIDE OPEN SPACES DONT BOTHER ME AS LONG AS I KNOW WHERE IM GOING. 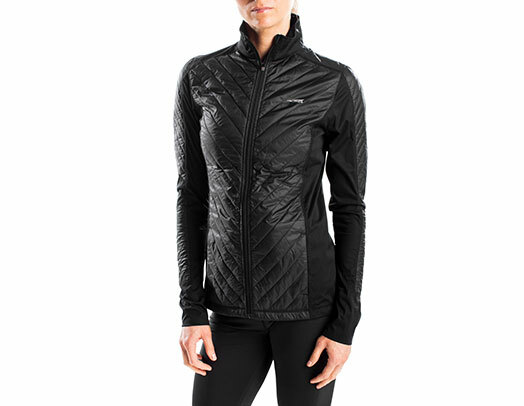 MY FAVORITE RUNNING GEAR IS MY BROOKS JACKET THAT I WEAR FOR WINTER RUNNING. I love wide open spaces - running by the ocean is about as wide open as it gets! Why would open spaces make one anxious? I too find them calming. It never occurred to me to wear ski goggles but what a great idea! You are so badass in your ski goggles. I can only imagine how necessary they are! Okay now I have to ask, Does it really get to be 20 below zero there and do you really run in it? Or were you just using such extreme temps to make a point? I am extremely fascinated by people's perception of what "running in the cold" is. Some think a 35-40 degree day is cold and other's think it is just fine. You my dear win the award for running in the coldest temps (that I've read from a blogger anyway)! You seem to have the winter running apparel down. I've never heard of using ski goggles, but it makes complete sense. I've never lived anywhere the gets cold enough that my sunglasses fog up, not until I walk inside.